Our Open Data for Resilience Initiative (OpenDRI) team hosted a mapathon in the World Bank Headquarters on Wednesday, November 14. The mapping event brought attention to the numerous benefits of using geospatial data in providing solutions to development and disaster risk reduction initiatives. 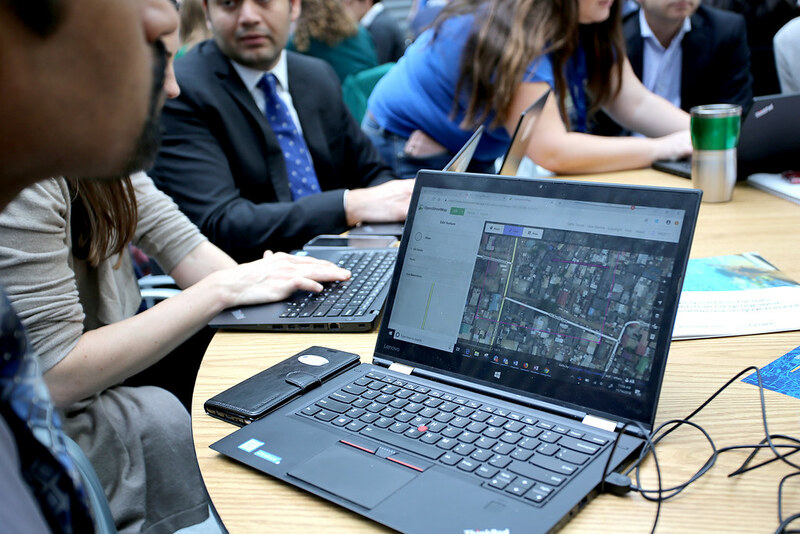 Organized as part of Geography Awareness Week, the mapathon exhibited community and crowdsourced mapping initiatives, championed by World Bank teams, and their extensive partners in the mapping community. It featured short panel discussions, a unique hands-on “mapathon” training experience, and lightning talks from experienced World Bank colleagues and mapping partners. Speakers included: Mikel Maron (Mapbox), Carrie Stokes (USAID), Rachel Levine (American Red Cross), and Charles Fox (GOST-WB). WB colleagues, NGOs, government, and private sector partners will present their use of open source mapping tools and technology in their work.